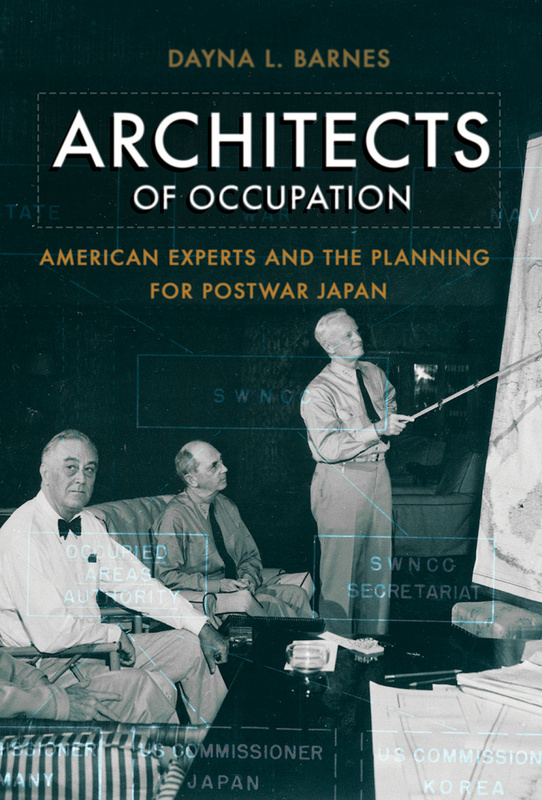 Dr Dayna Barnes, a Lecturer in Modern History at City, University of London, launched her first book Architects of Occupation: American Experts and the Planning for Postwar Japan in a recent event held in City’s Northampton Suite. The book is dedicated to the planning for the seven-year occupation of Japan by the Allied powers at the end of World War Two. Dr Barnes presented her findings on how the occupation was strategised during the war and why a particular path was chosen. It is remembered by many as the ‘good occupation’ because it turned a military enemy into a stable democratic country. In her book, Dr Barnes looks at the role of each of the five groups of policymakers – presidents (Franklin D Roosevelt and Harry S Truman), bureaucrats, think-tanks, the media and Congress. All groups of policymakers were sharing their ideas in an ‘informal policy network’ – a small group of elite experts who all knew each other. “The connection between them is what the book is really about,” she said. While most of the literature focuses on the occupation itself, which lasted from 1945 to 1952, Dr Barnes analyses the planning period from 1937 to 1945. The US had started considering an intervention two years before WW2 officially started because the Empire of Japan was trying to dominate the Pacific at the time and invaded China in 1937. Dr Barnes’ book is the origin story/prequel of the occupation. “There is a belief that General MacArthur made all the policies. It’s absolutely not true,” said Dr Barnes. In her presentation, she explained that when MacArthur and John K Emmerson, an American diplomat and adviser to MacArthur, arrived in Tokyo in September 1945, “they brought a host of policies with them”. Among the key findings, Dr Barnes stressed that think-tanks mattered a lot, that bureaucratic planning was unexpectedly important (but the government was able to hide it) and that Douglas MacArthur “inherited policy, [he] didn’t invent it”. She drew attention to key individuals who were involved in the process. Dr George H Blakeslee, who was Professor of History and International Relations at Clark University and was influential in policymaking, wrote policy documents and was connected to many groups. “He cared deeply about Japan and thought international trade was the answer to pacifying the military empire.” And Walter Lippmann, a famous journalist, wrote a popular column on a foreign policy, ‘Today and Tomorrow’, which was read by millions of Americans. Comparing the occupation of Japan with that of Iraq from 2003 to 2011, Dr Barnes explained that planning on Iraq was ineffective. “With Japan, the Americans had six years to plan carefully and engage with the process,” she said. Whereas US Military Central Command work on detailed plans for occupation and reconstruction of Iraq did not begin until February 2003, just one month before invasion. Hence, she said, “there was no thought-out policy”. Architects of Occupation is published by Cornell University Press. The event was organised by City, University of London’s Centre for Modern History and was chaired by Dr Dina Fainberg, Lecturer in Modern History and Director of the BA History course at City.